While launching your Shopify store, the theme should compliment your brand. Also, consider the impact of your selected theme on the speed of your website as the page load speed plays an essential role in the SEO ranking. You can check the speed insights of your store by using some tools such as Google’s Page Speed Insights. Before buying any theme, just check the theme demo URL through this tool and get the insights about the page load speed. Off-site Duplication: Mostly, the products listed in your store will have a description from the manufacturer. This material is hard to manipulate. In such cases, there is a massive possibility of duplicity as other sellers may have also included the same description on their website. To tackle such issues, you should mention a unique story of each product listed on your site. On-site duplication: Due to some issues in website content management system or CMS, you may have to sometimes deal with On-site duplication problems. 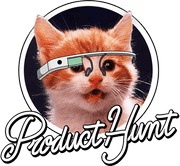 Sometimes a user may reach up to a product by exploring through more than one category in the product catalog. In such cases, your CMS will generate different URLs for a single product depending on the path followed by the customer. You should use Master URLs to eliminate this problem. With this, CRM generates only one URL irrespective of the multiple ways followed by the customer in the product catalog. Also, to ensure no duplicity in your website, regular checks should be performed. You can make use of various plagiarism tools available to provide 100% unique content on your site such as Small SEO Tools Plagiarism Checker, one of the best free available tools. Even if your store has a bundle of useful features loaded, this does not guarantee a high customer engagement. Most of the users will not like your website if it takes longer to load. According to Search Engine Journal, a 1-second delay in page load can cause a drop of 7% in conversions. Running an E-commerce store with a 7% drop in conversions means a lot of losses. Above all, slow loading speeds can lower your Google ranking. From interaction to conversion, there is a complete cycle comprising different stages of a customer’s buying journey. All the customer goes through top four stages Attract, Convert, Close, and Delight. After attracting the prospects using relevant material or advertisement, it is up to the experience of a visitor at your store that converts them into a customer. Product pages should be fully optimized to ensure a high engagement with customers. A unique and proper description should be provided which will make it easy for a customer to understand all the features of a particular product. Also, all the variants (if any) should also be available on the same page to avoid duplicity. If your customers are easily able to explore all the features of a product on a single page, your conversions will increase which in turn will improve your Google ranking. 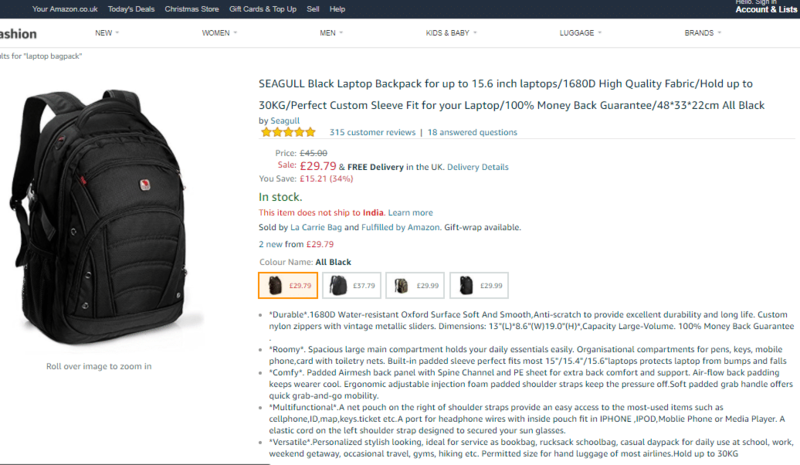 An example of Product Page (Source: Amazon). Here we can see the complete information about the product, customer reviews, different colors & variants of this Product, etc. Include all the critical information such as about returning a shipment, shipping, delivery time, etc. on your product page. Customer reviews are an essential parameter of a perfect product page. It will help your website users to judge a product and also, you will get user-generated content in the process. Make the navigation straightforward. Link your all product pages to the home page of your Shopify store. In this way, your users will always find it easy to return to the homepage. You should have a mechanism to track all the essential metrics related to your page performance. Google analytics is an excellent and free tool, which provides all these crucial parameters efficiently. Integrate your Shopify store with Google Analytics account and get insightful data about your user behavior. You can get data about the geographical locations of your users, device information, channels used by your website visitors. Shopify provides various free and paid apps which you can use to optimize your store. Review apps can be used to interact and engage with your customers. Customers who buy a product from your website can also submit their experience with the product which will make it easy to convince other prospects who also want to buy the same product. These reviews will benefit you in two ways. First, your sales will increase and second, you can add your product review scores to your Google search results. If you have correctly optimized your website images for SEO, then these images can appear in Google Image Search results, thus driving traffic to your website. Always use ‘Alternate Tag’ in all your product images with relevant keywords. Do not use same Alt tag for multiple images. Always create short, clear and unique Alt tags. To add Alt tag in your Shopify store images, go to the ‘Products’ from your admin account. After clicking on the product name that you want to edit, you will see the product image. Hover over the image and click Alt. Edit or add your Alt text and save the changes. All the SEO tips mentioned above may not be a complete guide for optimizing your Shopify store, but they are enough to improve Google ranking. After optimizing your store, you will surely experience a boost in your traffic and conversions. So, make maximum out of the built-in features of Shopify and optimize your website.